27 April 2017 Unlocked content from the archive. Set in small-town Australia in the 1980s, Wimmera is the story of two boyhood friends, Fab and Ben, presented in three parts. Part one is told in schoolboy Ben’s voice: long, hot days of camping, yabbying and playing cricket, schoolyard bullying, sexual awakenings, a new neighbour and a sense of the ominous in the surrounding adult world. Part two is told in Fab’s adult voice: stuck in the same town with dreams of better things, looking back while trying not to. Part three unravels the full story after a body is found in the creek. 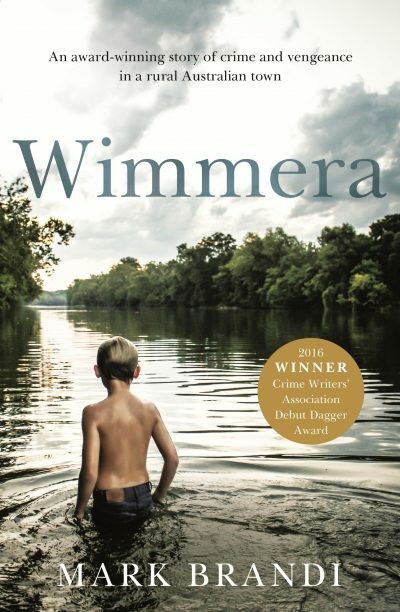 Wimmera is a languid, unsettling novel that perfectly captures life in small-town Australia, from the 1980s television shows and celebrities to the heat, bugs and dust. Mark Brandi is excellent at concealing, allowing the reader to join the dots, until the end when the slow reveal is perhaps even more shocking than imagined. Given the substantial list of award wins and shortlistings that the unpublished manuscript has already received, including the Crime Writers’ Association’s Debut Dagger Award, it’s clear that the reader is in the hands of a master storyteller. Comparisons are already being made to Jane Harper’s The Dry and Dennis Lehane’s Mystic River. This is literary crime fiction at its best.